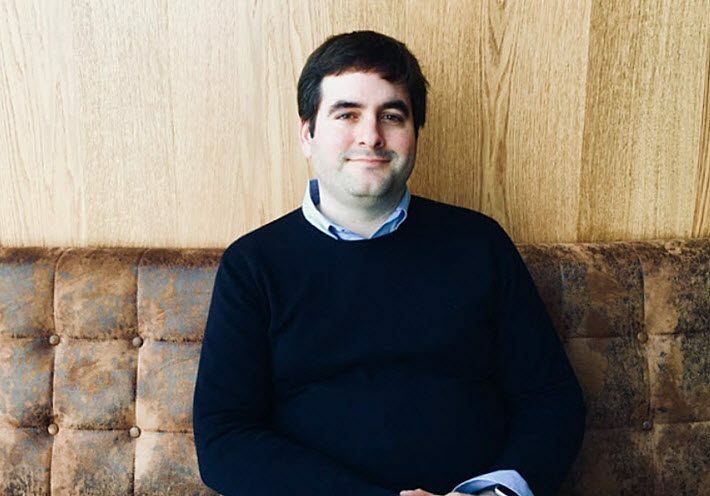 An Irishman in London, publisher Eoin Purcell moved from Dublin almost four years ago to become head of Amazon Publishing UK. Today, he looks at the industry’s issues calmly: time is on his side. The trade publishing house of Amazon, called Amazon Publishing, has operations in many parts of the world, particularly through the work of AmazonCrossing, the translation imprint. Second to its United States headquarters, the UK arm of “APub,” as it’s called, is the most prominent branch. In the UK, Amazon Publishing operates with four imprints currently, with an eye to growth. The Stateside division has just added its 15th imprint this year, Topple Books in association with filmmaker Jill Soloway’s production company. The news, as reported by Sarah Shaffi at The Bookseller, sent ripples through the British industry, and one of the key emphasis points made by executives of the company then was that Amazon was keen on adding UK authors to its lists. At that point, there was news of a five-figure deal at auction for author Cath (CS) Quinn‘s thriller The Thief Taker (Thomas & Mercer) from agent Piers Blofeld at the Sheil Land agency, as well as a strong deal made with Sam Copeland at Rogers, Coleridge & White for From the Cradle (Thomas & Mercer) by Mark Edwards and Louise Voss. In the intervening years, it’s fair to say that Amazon Publishing hasn’t stormed the standard UK trade charts. But much of the bestselling work in the wider UK market, as in the States, understandably belongs to companies many times older than APub, which is still in its first decade. And when you hear Purcell talk about the charts, he’s referring to sales performance in the Amazon universe. The most recent Official UK Top 50 from The Bookseller and Nielsen may not show an APub title, but because Amazon doesn’t report digital sales, action on many of the house’s offerings could be much bigger than is evident. If anything, it might be helpful if amazon.co.uk had the Amazon Charts functionality that amazon.com offers in the States. Both the “most read” and “most sold” digital titles in fiction and nonfiction are updated weekly there. Indeed, UK industry players may enjoy seeing that, at this writing, seven of the Top 20 “most read” books in fiction on the US website are by J.K. Rowling. Predictably, the publishing house often is conflated with the retail operation that owns and promotes it. The connection may not always seem flattering. Red flags recently have been raised, for example, by HarperCollins’ Charlie Redmayne as he took over the UK’s Publishers Association presidency from Lis Tribe, warning that US editions of books too frequently are appearing on the amazon.uk.co website or via third-party retailers, clearly in violation of UK copyright regulations. The “global store” can be seen as threatening to territorial copyright boundaries. While Amazon’s position has been that it intends for sales to be conducted correctly and that it means to remove infringing editions of books, critics say the response can be too slow and that the problem is growing, exacerbated by the advent of “international shopping” in the Amazon app. And yet, of course, the work of Amazon Publishing is not the same as that of Amazon-the-retailer, any more than Simon & Schuster can be held responsible for the actions of the CBS Corporation that owns it. The part of the Amazonian empire controlling sales apps, buy buttons, and Prime delivery isn’t the part making books. One wide-smiling blessing of being a creature of a multinational technology power seems to be a capacity for patience. There’s a sense as you talk with Purcell that time is on his side. “Long-term” is among his favorite phrases. After all, a publishing company that was able to open shop in a new market with some 500 titles annually can afford to wait. If APub blockbusters haven’t shot to the tops of the trade rankings in London, Amazon’s team is focused, Purcell says, on cultivating good relationships in the business. He’s similarly sanguine about how so many booksellers in the UK, as in the States, have been staunchly resistant to Amazon, although they can order its books from Gardners, because of its retail dominance. Getting APub books into high street store windows remains largely a fiction. But this, too, isn’t something that seems to concern Purcell and his associates: they can wait. “What I can say about that,” Purcell says, “is that we’re increasing our print book sales. That’s coming from all of our channels,” he says. “And we’re determined to continue down that road. “It’s coming up on four years,” since he took the helm of Amazon Publishing UK, Purcell tells Publishing Perspectives, “and we’re happy with the way things are going. As you’ve probably heard, Amazon is going to have another up year in 2018, and we’re part of that, as well. When foreign rights are sold, senior global rights manager Alex Levenberg’s offices in the States are usually handling the transactions, he says, “but we’re acquiring world rights for the titles we produce” originally in the UK. At London Book Fair, last month, members of the global rights team helped staff the Amazon stand. And it’s not hard to pick up on a sense of team play among Amazon Publishing’s folks. They’re being directed by Purcell to concentrate on their creative talent. “We’re particularly happy with the progress we’re making with authors. 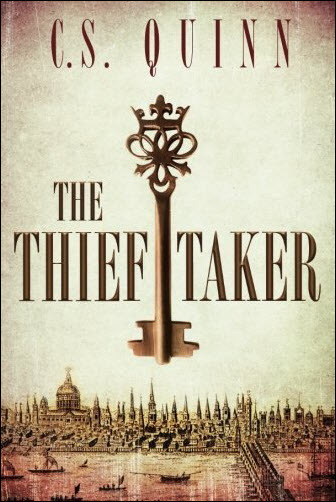 We’ve had really good experiences,” Purcell says, pointing to many of the writers working in mystery and thrillers on the Thomas & Mercer imprint. “There’s Mark Edwards, whom we’ve been publishing from the beginning,” Purcell says. 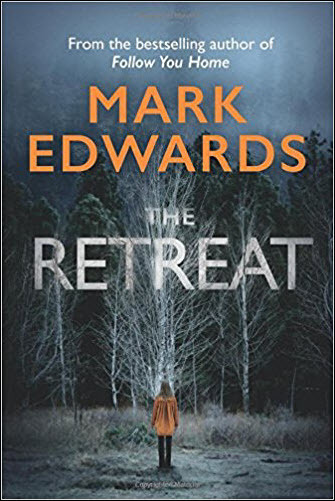 Edwards, in fact, has a new title, The Retreat currently in pre-sale for a release from Thomas & Mercer in the UK and USA on Thursday (May 10) in both markets. 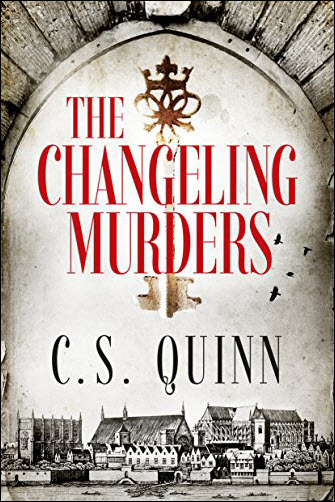 CS Quinn is also set for a release this month, when her The Changeling Murders comes out from Thomas & Mercer on May 24 in the States, May 29 in the UK. “Mark Dawson is another” author Purcell mentions as having good traction with the company. 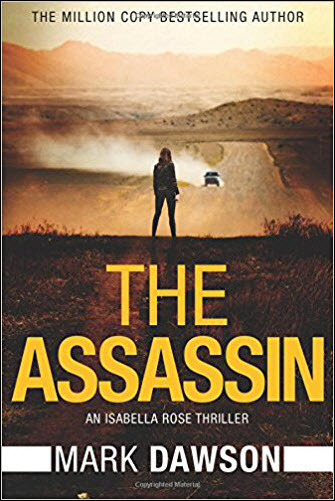 Dawson’s new The Assassin, in the Isabella Rose series, was released during London Book Fair, and its paperback edition is to be published May 29. 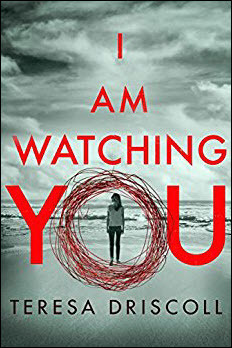 “And more recently,” Purcell says, “there’s Teresa Driscoll, top of the charts now in the UK and pretty high in the US.” Amazon’s Kindle Store charts, her I Am Watching You is standing at this writing at No. 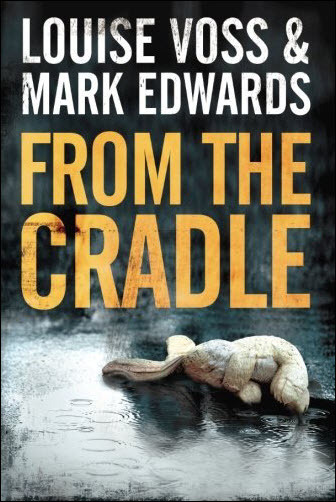 2 in the UK in its categories of Mystery, Thriller and Suspense, and at No. 5 in comparable rankings in the States. “All these authors are really kind of advocates for us, and we love to hear them sing our praises, although we don’t like to do that kind of thing, ourselves,” Purcell says with a smile. 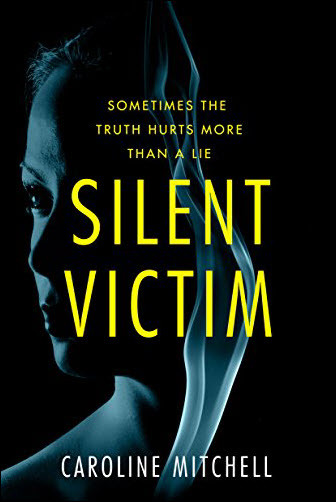 “One of our newer authors, Caroline Mitchell, seems to be putting out the word for us, as well.” Mitchell’s Silent Victim (Thomas & Mercer) was released on March 1. Reminded that James Patterson collaborator Mark Sullivan has been outspoken about his good experience in working with Amazon Publishing (the Lake Union imprint) on his Beneath a Scarlet Sky, Purcell says that a principle of his approach at APub UK has to do with being sure it’s not only brand-name authors like Sullivan who are well served by the house. Selection of material is pivotal, Purcell says. No titles are taken on, he says, that the team doesn’t believe can’t fully be marketed and succeed. “That comes from the company’s philosophy of thinking for the long term,” he says, “leading with authors as our primary customer. “If we say, ‘We want to do this book even though we know it’s going to be a failure,’ how is that helping us build a long-term relationship with that author? If instead we start from the right place, which is, ‘We want to have a long-term relationship with this author,’ then we’re willing to work with them to make that happen. AmazonCrossing, the translation imprint led by Gabriella Page-Fort, he says, is a primary example of this. He points to A River in Darkness, Masaji Ishikawa’s tale of escape from North Korea, translated by Risa Kobayashi and Martin Brown. “There’s universality there, it’s really connected with UK readers. It was in Kindle First, if we put it in a deal it does really well,” standing at this writing at No. 1 in the UK’s Kindle Store rankings for Social Activists and in the Cultural History charts in Biography. 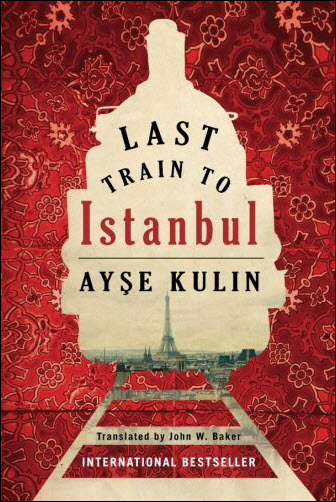 Publishing Perspectives readers will remember the World Book Day offer of nine free translated novels from AmazonCrossing culminating on April 24. The team has left the counter of digital pages read by users from that one offer’s books where you can see it. As of this writing, readers have read more than 29.7 million pages of those nine novels in translation. And nearing his fourth year after crossing borders to move from Dublin to London, how does Purcell feel about the decision to join Amazon Publishing? Does the Irishman who worked in some of most fertile lands for literature in the world feel that he lost something in making the jump? “You know what’s really interesting,” he says, “from my perspective, the thing that’s most reassuring about joining Amazon Publishing is that although there are processes and ways of thinking that are different, what isn’t different is the passion for publishing. It’s about what quality is. And how do we connect this author and this story with the reader? More from Publishing Perspectives on Amazon Publishing is here. And more on publishing in the UK is here.